We brave the Homefront for an exclusive interview with the developers of our Overall Best of E3 winner. Of all the potential masterpieces and wonderful gaming experiences that we were privileged to experience at E3 2010, few stuck with the staff of GamingExcellence quite like THQ and Kaos Studios' upcoming shooter Homefront. With a combination of great storytelling, realised environments, intense shooting action, and superb tech, Homefront looks to be one of those titles that reaffirms our faith in our precious hobby and pastime. 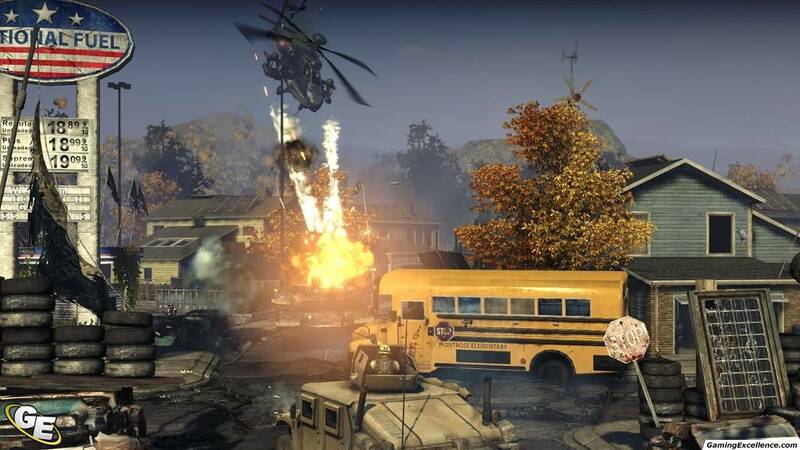 Like any other game, Homefront is only as good as the developers behind it. When we were given a chance to ask the developers a few questions, we jumped at the chance. We asked two of the head honcho level designers some tough questions, easy questions, and we even managed to sneak on a goofy one or two in there. So without further ado, we present a Conversation with Kaos! GamingExcellence: For starters, who are you and what is your role in the development of the game? Rex Dickson: My name is Rex Dickson. I am the single player lead level designer for Kaos Studios. My primary responsibility is driving all the single player missions in the game. My secondary responsibility is to manage and mentor the single player level designers. Zach Wilson: My primary role is Level Design, the process of designing and building levels from initial concept up through final. My other role is as a vision holder for what we call "The World of Homefront". We have an elaborate and detailed back story that we've spent a great deal of time on, and it took a huge amount of research to get us here, and that was my job. I think I wrote something on the order of 120 pages of material. I ended up boiling it down to a power point presentation that I forced my co-workers to sit through. Part of the follow through consists of interacting with the art and story team in that capacity; making sure that everything is coherent and consistent and accurately reflects our back story. GamingExcellence: What was your inspiration for creating the story in Homefront? Zach Wilson: One of the ideas that we carried over from our first title was the concept of resource depletion and the potential consequences that that might have for a global economy. What happens when you can't get oil cheaper than a hundred fifty dollars a barrel? What do people go without first? How does that apply to an economy like America's where everything is structured around the assumption of cheap plentiful oil? How would we react culturally, and militarily? What breaks down first? Frontlines explored the military aspect - when the oil runs out, we're going to find where the remaining stuff is and we're gonna take it. 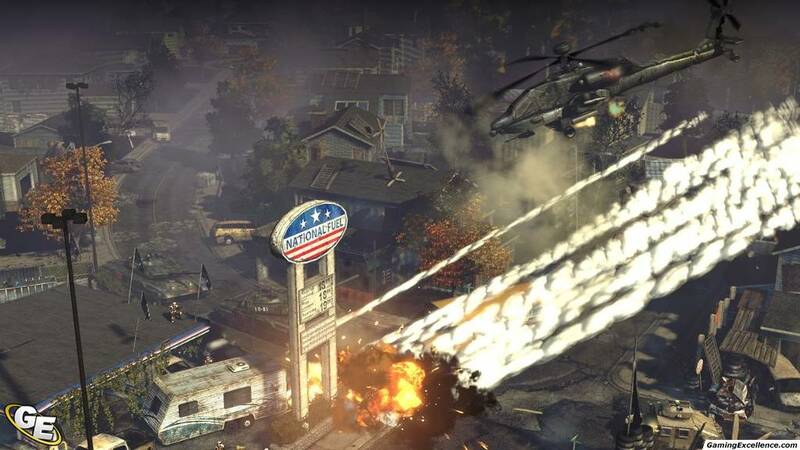 Homefront is more about what happens here in America when oil becomes more and more expensive. How does the culture change, what's important and what's not? When researching this we looked at the work of people like James Howard Kunstler and Richard Heinberg. They talk at great length about the role that oil plays in modern society. Michael Pollan has written a lot about how our food production and distribution system is structured around oil, and what that means. Tom Brown Jr wrote a couple of great books about survival in urban and suburban settings that were useful. The other inspiration was the nature of occupation, and in particular what that means for the civilians living the experience. This is a politically charged topic, one of the inspirations (and I hate to phrase it that way) was the situation in the Gaza Strip. We've pulled from the experiences that people there have had, as well as the point of view of civilians in Iraq and Afghanistan. There's a very human, emotional core to the motivations of the people living, fighting and dying in those areas and I think we wanted to ask ourselves, how would we react if we were put in that situation? If someone came into our homeland, regardless of their motivation or stated intention and tried to impose their will on me, how would I react? Che Guevara's classic Guerrilla Warfare talks a lot about how you fight a war in a situation like that. John Milius recommended a book about the apache called In the Days of Victorio which is this amazing "other side of the story" look at the Apache Indians in the 1880s. He also recommended this insane book called The Ultimate Sniper by John Plaster, which is this like instruction manual on how to be a sniper - I can't believe it's legal to publish it it's so in-depth. I actually based one of my levels off of some of the counter-sniper tactics he details in that book. GamingExcellence: How big is the development team? GamingExcellence: Are you worried or excited about possible controversy such a storyline might cause? Zach Wilson: I'm excited, personally. I want to make a game where people talk about the political implications that war has on civilians. I think that's a really relevant, important topic to be discussing right now. Controversy is such a BS term anyways. Like we're not trying to intentionally hurt anyone's feelings or advance an agenda or anything; we just want people to take a step back from their daily lives and think about the world in a little bit of a different way. Rex Dickson: I think it's the modern day equivalent of saying that Red Dawn or War Games were controversial in the eighties because they had the potential to ignite World War 3 between the US and Russia. The fact that the public and press are asking themselves 'could this really happen?' is exactly what we wanted to achieve. Inciting controversy never really entered into the equation. GamingExcellence: How much time (ballpark figure?) went into background research? The VP of our group, Danny Bilson, is a pretty big name in Hollywood and has all these connections in the military - when they have those brainstorming sessions where they bring in Hollywood types to brainstorm about weird scenarios or threats or weapons or whatever, he's one of those guys. To say that Danny is an outside-the-box thinker is an understatement. So Danny used his connections to get us a meeting with some dudes that work for the CIA to help us firm up our back story timeline. We go down to DC, Kaos' GM Dave Votypka and I, to meet with Danny and his CIA pals and they basically pull out a completely rewritten timeline that includes the entire history of Korea dating back to like the 9th century, and lay out step by step how it could go down, using historical examples, taking into account the cultures at work and using actual projections that the military and the intelligence community have done. It creeped me out man, like these dudes laid out a scenario and I walked away from it like "man, I think we should be really worried about North Korea invading". GamingExcellence: While we all know that Homefront is trying very interesting things as far as being a more story driven cinematic shooter, what about the gameplay itself will set it apart from the numerous other FPS games on the market? Rex Dickson: Our goal with the game play in Homefront was to hit what we call 'flawless fundamentals'. Most of our focus went to nailing the player's relationship with their weapon. Making sure it felt good to move and shoot. It was critical to us that we nail the core FPS experience. Beyond the core, the game play has some unique components that vary up the experience. You will get to drive both ground and air based vehicles in the game. 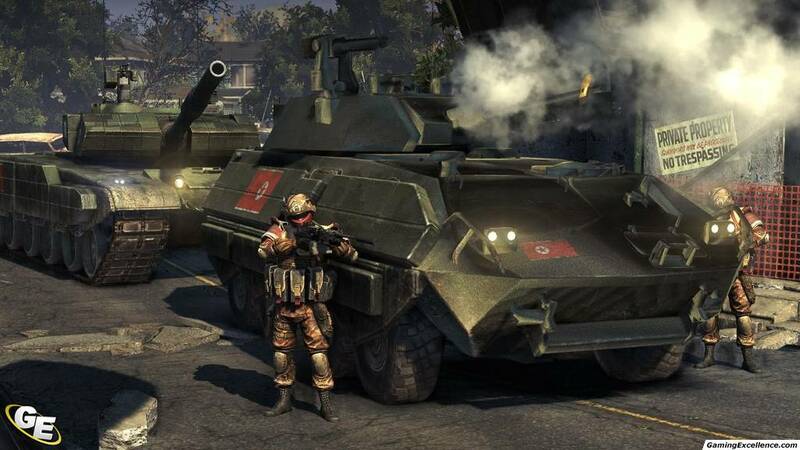 The resistance also has control over a stolen KPA 'drone tank' called 'Goliath'. 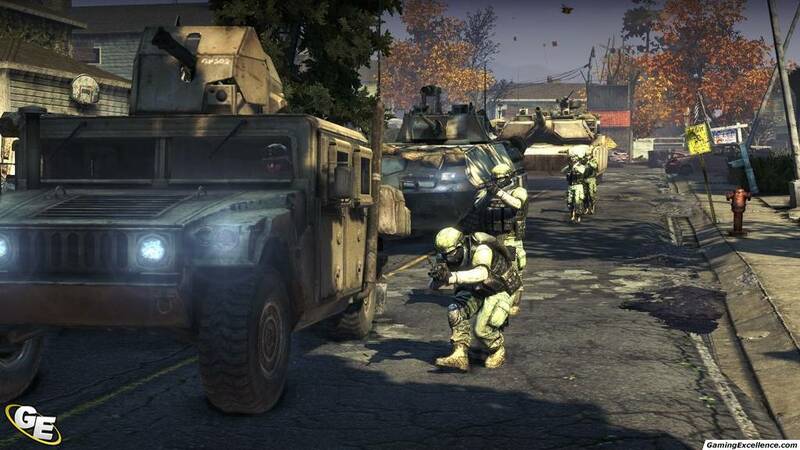 The player has control over its weapon systems and it appears in several missions. Globally we offer a few unique approaches to the standard FPS fare. Because you are a resistance fighter, weapons and ammo are much harder to come by than you would find in other games. Ammo conservation is a big part of the experience. You will often find yourself with only your pistol left, trying desperately to fight your way to the next enemy weapon drop. Spray and pray tactics are not effective in the game. Every bullet matters. 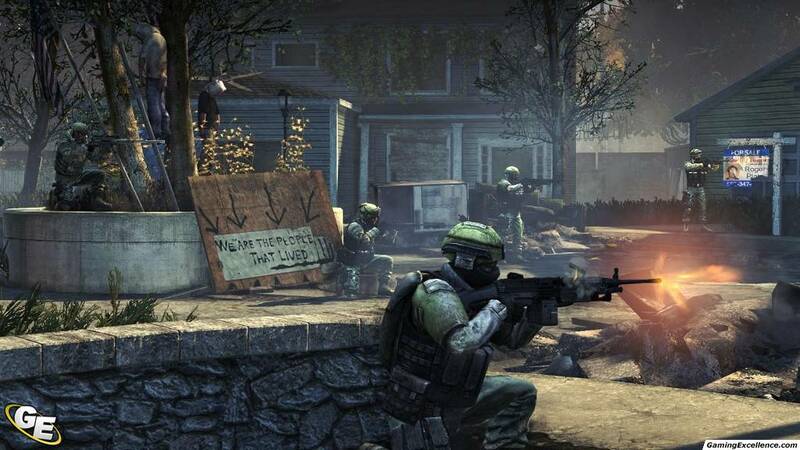 Additionally, the enemy always has the overwhelming numerical and technological advantage in Homefront. 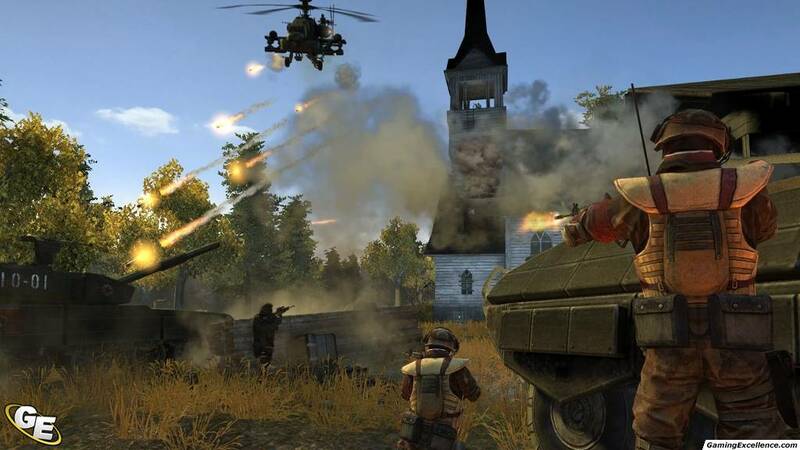 You will often find yourself on the run, outnumbered and outgunned in this game. It is much more in line with Half Life 2 than say Medal of Honor or Call of Duty. GamingExcellence: In the E3 demo we were told about the use of a "cinematic engine", could you elaborate on that? Is there a progression to the scale of the 'drama events' or was there an emphasis to use them only when it fits the storyline? Rex Dickson: The cinematic engine is also referred to as the drama engine. 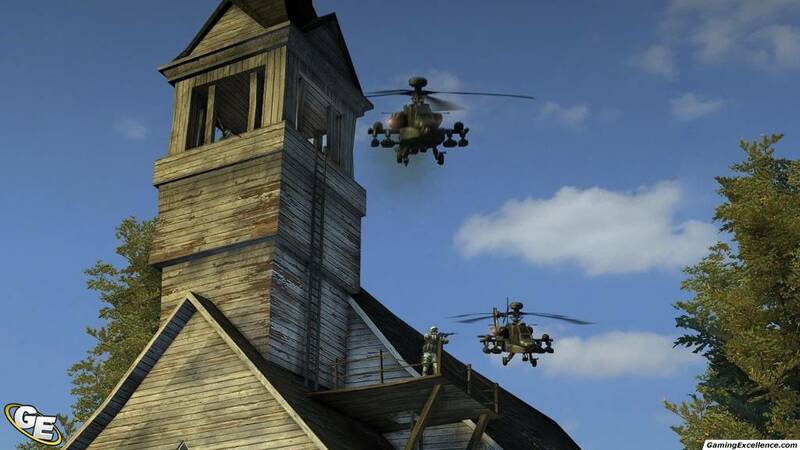 It started out as a procedural 'magnetism' feature that matured into a suite of tools and techniques the game designers use to throw the action in the players face. It has evolved way beyond simple destruction events and is now something we use to create dynamic player centric events all across the game. There is definitely progression to the system. Unlike many games in the FPS space, it is not our intention to dial it up to 11 and keep it there. We are much more in line with games like Half Life that have very deliberate lulls and climaxes. The overall arc of the game has two key climax missions and we push spectacle heavier in these missions than others. Within each mission, there is also an intended pacing graph that we shoot for. The drama engine is featured in some capacity in virtually every mission, but we pick our spots very carefully. 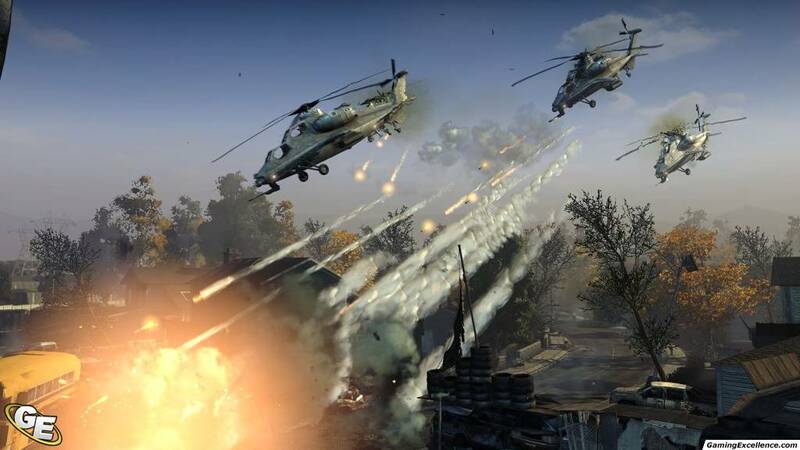 GamingExcellence: From the demo we could tell that while the action was intense, there are many moments of quiet character and environment development, which demands a greater attention span than many shooters. How are you balancing action and storyline to ensure that there's a healthy balance of both? Zach Wilson: It's all about pacing. I think we've got a pretty nuanced sense of pacing, from both a macro and a micro standpoint. One of the things that this team is really good at is environmental narrative. Just by walking into a space, you can see the story of what happened there. We've had a lot of situations where the characters comment on a particular portion of the environment and it really detracts from the feeling that the player gets from seeing his home twisted in this really chilling way. We've found that sometimes just walking through the world tells the story better than any elaborate mocap cinematic sequence ever could. There are a couple of moments in this game that will knock your socks off. Things nobody else has had the balls to take on in games before. Our sound guy, Matt Harwood, is awesome too, it's amazing how much of a difference really strong sound design makes in terms of the world coming to life and telling you a story. We have a great cinematics director, Navid Khonsari, who's handling all of our narrative moments and the stuff he's crafted is really interesting and in many cases emotionally moving. It fits in with the game play really well too, we try to structure it in such a way that you're organically getting objectives from the characters that you're meeting, it's never a dude coming in over the radio telling you to take out this tango or that target or whatever. So the story moments really propel you forward and give meaning to your actions. GamingExcellence: What graphical engine are you using and what does it allow you to do? Rex Dickson: We are using a heavily modified version of the Unreal 3 engine. We have custom solutions for lighting and a few other rendering techniques not native to Unreal 3. In addition, we have some custom Kaos tech that allows us to do a wide variety of post process and environmental effects that add plenty of eye candy to the game. Our aftermath system, for example, is a technique we use to 'splash' the players camera with a variety of effects. For example, in the E3 demo when the Goliath drone tank crushes an enemy bearing down on the player, the camera gets splattered with blood and gore. It's a moment that had people grinning from ear to ear during E3. GE: Can you give us any details on multiplayer? Rex Dickson: Kaos Studios has a long and storied history as a leader in the multiplayer space. We are the creators of the wildly popular Desert Combat mod for Battlefield and also the first developer to bring support 64 players on the consoles with Frontlines: Fuel of War. Expect Homefront MP to be as groundbreaking and industry leading as our past efforts. As of right now, we have not officially announced details on our MP component. A detailed announcement will be forthcoming this fall. GamingExcellence: Finally, can you confirm or deny that the game won't jump the shark and have an ending that involves aliens or mystical cults? Rex Dickson: I can confirm there will be no 'jump the shark' moments in the game. We reserve the right, however, to implement a 'nuke the fridge' moment, as this represents the new gold standard. While I can confirm there are no aliens or mystical cults at the end of the game, I can neither confirm, nor deny the appearance of a cybernetic Kim Jung Ill piloting a giant mech walker robot as our final boss. In all seriousness, our game has a very dark and serious tone. We use films like Apocalypse Now and Blackhawk Down as our tonal target. Our aim is for an almost documentary style approach to telling our story. Some of our creative goals like 'violence with consequences' and 'the human cost' would clearly be compromised by anything that felt cheesy, gamey or over the top. As such, anything that doesn't feel 'real' to us, we take it out and re-work it until it aligns with our tone. GamingExcellence: Fantastic work on the game, we're dying to get our hands on it! Thanks so much for taking the time to answer our questions! Special thanks to Daniel Acaba, Rick Poulin, and Avi Krebs for submitting questions for this article.